President Paul Biya signed a decree on June 7, 2018 on the reorganisation and functioning of the National Social Insurance Fund (CNPS). 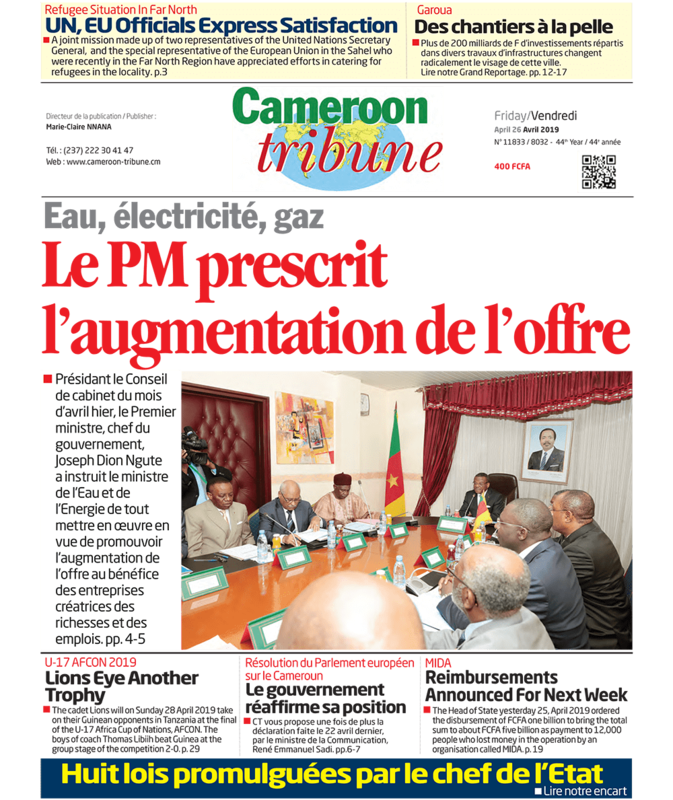 The National Social Insurance Fund (CNPS), invested with the public service mission of managing social security and other related services provided for in the legislation in Cameroon henceforth has a new and modern management legal tool. President Paul Biya invigorated the institution in decree N° 2018/354 of 7 June 2018 he signed relating to the reorganisation and functioning of the National Social Insurance Fund (CNPS). From now on, CNPS is aligned to the law on public corporations in matters of terms of office of the Board Chairman, members of the board, Director General and Deputy Director General. Article 25 (3) of the decree in conformity with Law N° 2017/011 of 12 July 2017 to law down the general rules and regulations governing public corporations provides that the Director General and the Deputy Director General of CNPS are appointed for a term of office of three years renewable two times. The decree states that the terms of office combined cannot be more than nine years. Article 9 and Article 10 of the decree reorganising the CNPS respectively states that the Chairman of the Board of Directors and board members in conformity with Section 47 of the law of 12 July 2017 have to be appointed for a three-year term renewable once. The board members of the National Social Insurance Fund have been reduced from 16 to 14 taking effect from the signature of the decree. Contrary to what obtained before the decree, there were four representatives of workers and four representatives ofemployers. Each of them have now been reduced to three representatives. 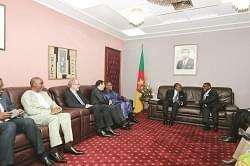 In terms of public contracts, the CNPS is longer placed under the legislation governing Public contracts in Cameroon. Article 46 of the decree of June 7, 2018 states that the Board of Directors oversees contracts procedure in respect of regulations related to competition, equality in the treatment of candidates, transparency and justice. Concerning financial management, henceforth, the post of the Director in charge of finance and accounting is created within the CNPS as provided for in Article 39 (1) of the decree and placed under the supervision of the Director General. The Director General of CNPS, Noël Alain Olivier Mekulu Mvondo Akame speaking after the publication of the decree welcomed the innovations stating that it is based on performance and qualitymanagement. He said the innovation comes to tackle hurdles that have been negatively affecting the functioning of the CNPS. The hurdles he said had nothing to with either the services offered customers nor the performance of the institution.